How can you help hermit crabs? Hermit crabs are decapod crustaceans of the superfamily Paguroidea. They are having crab within unique behavior especially on uses shells. Hermit crab shells is portable shells they have substitute with other hermit crab to change shell. That happen when the one hermit crab was grow and their shell to small they usual find other shells from environment resources like dead sea snail shell. The shells they reusing empty abandoned shells it must to fight with another hermit crab to wrest A better shell. Hermit crab has 1.110 species. All of them carry out the shell from dead sea snail or other things can cover their soft abdomen. Although we often found they life on land or solid ground, the hermit crab can’t far from humidity area because they are need water. The hermit crab looks like have their own shells but that actually borrow from other. 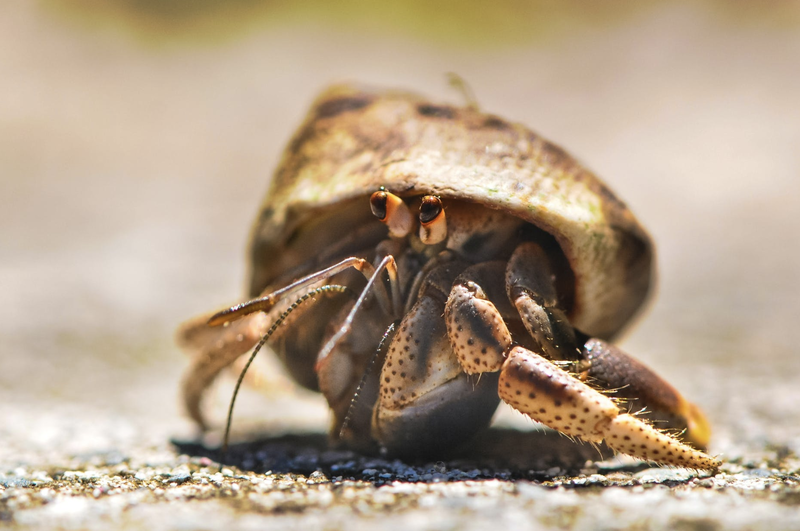 For more information may we don’t know about hermit crab here some hermit crab facts that can valuable information to us. Hermit crab can life for 15 – 20 years and some hermit crab can reach 12 – 70 years depend their species like Coenobita brevimanus. Hermit crabs using other snail shell to cover their soft abdomen. They usually using sea snail shell suit for its strong enough to cover hermit crab. All hermit crab when it wants to mate they must be to on under water on sea. Male hermit crab when they want to a good shell they must be steal from another hermit crab to get better shell that need more energy to fight each other. Who win it deserve get better shell. Hermit crab has 10 legs within 2 large claws that left claw is large then right for defend function, weapon fight other and for tear food. Hermit crab has soft abdomen that asymmetrical. Female Hermit crab usual carried 200 eggs on its abdomen until hatch. The larvae after hatch they float on sea surface that on a week age than transform on several stages before to be young hermit crab. Young hermit crab has to find the suit shell before leave under water and begin to new life in ground on beach. Hermit crab has two eyes that appear on top like the shrimp eye and has two stalks as antenna for sensory organs. Marine hermit crab and Land hermit crab use gills for breathing. Although both hermit crab almost similar species they are different on survive the land hermit crab that can survive on land but need humidity condition. Land hermit crab can’t breathe under water even though breath gills. Hermit crab are nocturnal animal they searching food at night although we can find them on day but they are more active at night. The hermit crab usual finds on solitary animals in facts they are live with large colony that reach about 100 animals. Hermit crab are omnivore animals they eat almost all thing such as fish vegetable and all sea animal stuff can be their diet. Like an insect hermit crab also have moult the adult hermit crab they moult each 18 mount the young hermit crab moulting a month once. Hermit crab grow up on one shell to another shell they find out shell depend on their body size. We believe that are lot of thing about hermit crab facts may we haven’t yet information. But, at least we have some valuable information about hermit crab were we know and have little bit change perspective about hermit crab particularly about their facts. Many people make hermit crab as pet because the hermit crab can be life on captivity. They are so easy to taking care of captivity they are omnivore animals that so easy to feed hermit crab diet are all sea animals like fish and also vegetable that why make hermit crab as pet is so cute. We can create tiny environment for hermit crab like aquarium and soil with balance temperature that needed for hermit crab the hermit crab need humidity air on aquarium. when we came to store that selling hermit crab then decided to buy one for pet after bring on home they actually never grow even you give more food for it. In facts, the hermit crab growing for years that why for pet they absolutely not suit live in home. On many country, hermit crabs were sell for profit they are taken from wild lives bring into small home like aquarium captivity. That maybe harm indication for hermit crab. Even you provide enough food on the real live they need salt water and enough humidity air for life. Hermit crab need watering sometimes. They go to under water for watering and move to ground for colony on captivity they not have that. 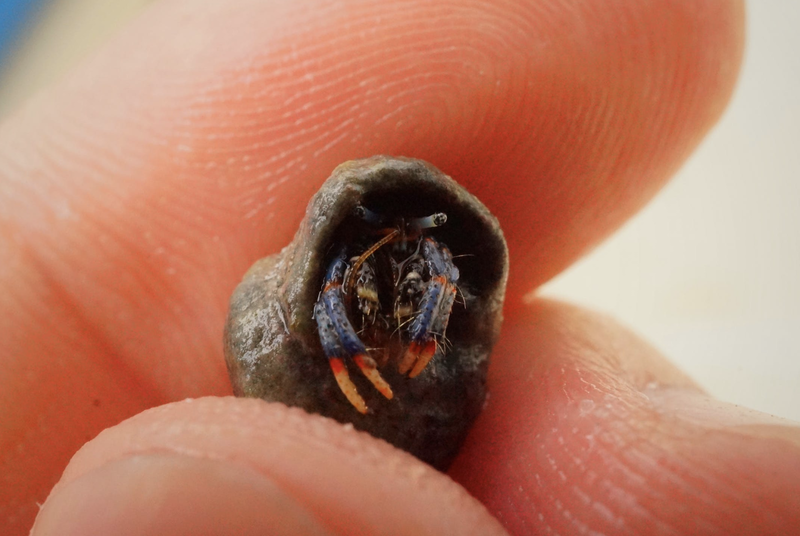 Hermit crab reusing another sea snail shells to cover soft abdomen from water and predator. Snail shells can anti or can be toxic protect for their life. When hermit crab was a pet they not get perfect shell. Usually hermit crab on store change nature shell with plastic shell that make them easier to fell ill and death. So. That why on wild hermit crab reusing snail shell to cover their soft organs don’t use their life for profit. Hermit crab are colony animals they need friend and live by day within hundreds climb, sleep and looking food together. So, don’t take their happy life for just funny. Usually hermit crabs were sell on pet store they are taken by nature life or wild habitat. Hermit crabs rarely breed in captivity. Hermit crab lives reach 15-72 years in wild habitats. But as pet after you purchase they may can lives about months. If you buy hermit crab you support for reducing exotic animal in the wild habitat. That can be reducing about 30 % crab on their habitat. Because intent the demand that can be trigger the hermit crab exploitation. In captivity or as pet hermit crab can died slowly because they need more humidity environment. All hermit crab breathes with gills that why humidity air is important for it. In real when we see them like normally on shelter actually they were dying then will dead view days. Hermit crab has moult process when the body grow up. They need large and special space for it like deep dump sand to order moult skin. So, when they not have appropriate place may they can’t be moulting process that make them dying and dead. As pet even we are provide place like real their habitat. That not enough may we just provide 30% for it like a real habitat that not enough yet. 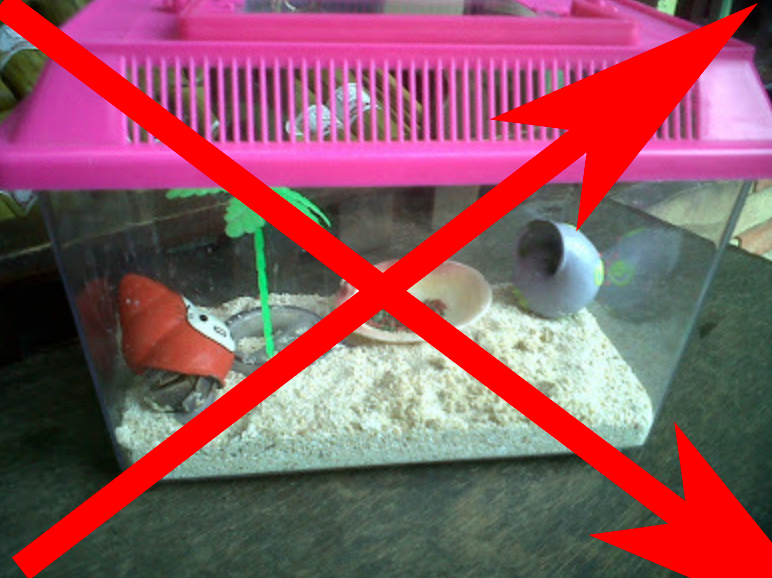 If you have hermit crab as pet just release them into their habitat and never buy hermit crab they are not pet animal and can’t life on small place even shelter or cage. Buy hermit crab to put them on small shelter even if we love them like child. There are not enough to give them happier like in their habitat. So, never buy hermit crab to be a pet. If you have a crab from captive ask vet guide to take care them. Don’t release captive hermit crab to wild because captive hermit crab can’t survive on wild.